**UPDATE** All of our tours are full, except for 2 slots for the February 14th tour at 4 PM. Contact us here if you are interested! Come explore our winter wonderland! 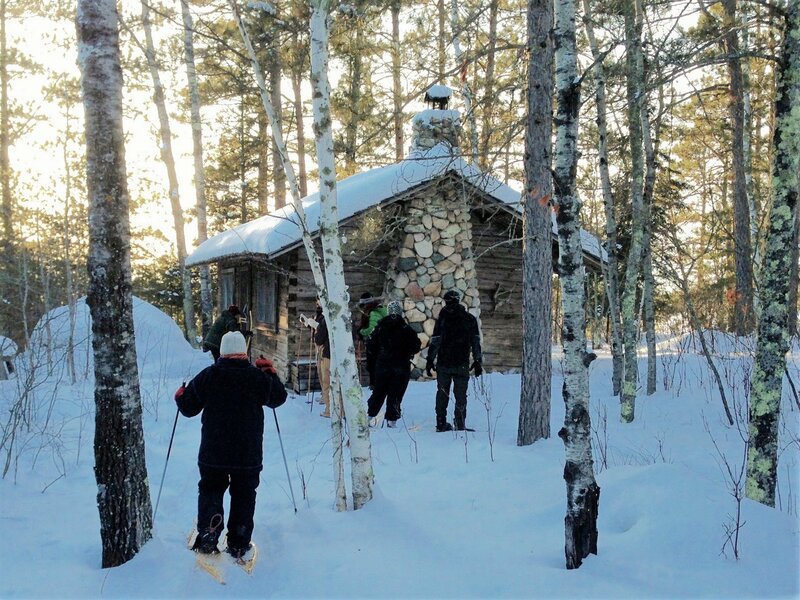 All ages are welcome to join in on one of our Snowshoe Tours to Listening Point as part of the Ely Winter Festival, February 7th-17th. Admission is FREE with your Winter Festival pin ~ donations gladly accepted. About one mile round trip, enjoy a leisurely 1 1/2 – 2 hour tour. Limited to 10 participants per tour, registration is required, and snowshoes are available (let us know in the comments below). Enjoy a hot beverage and homemade cookies served in Sig’s historic cabin next to a cozy woodstove! The tours filled up more quickly than ever this year! We appreciate that so many folks want to get out and experience Listening Point. If you were not able to get a spot on a tour this year, please let us know when you are back in the Ely area so we can arrange a guided tour for you! Check out the details here, and thank you for your support!